After the allegations that the U.S. National Security Agency (NSA) not only conducted mass surveillance on German citizens, but also spied on German Chancellor Angela Merkel’s own personal mobile phone for years, surveillance has become a big issue for Germany. So big, that Germany itself started spying on U.S. According to the reports came from the German media on Friday, the German foreign intelligence agency known as Bundesnachrichtendienst (BND) hacked into at least one call during Hillary Clinton's time in office as US Secretary of State. 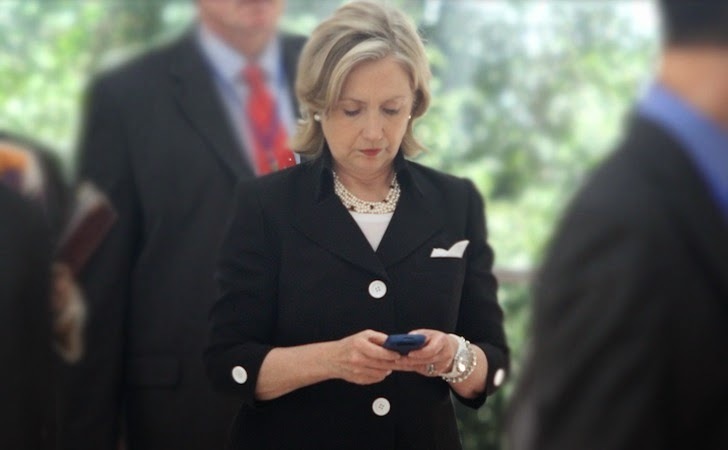 However, the time and location have not been disclosed, but Clinton's phone calls were interrupted during her phone conversations, according to the joint investigation done by German newspaper Süddeutsche Zeitung and German regional public broadcasters NDR and WDR. Although, after the story broke, some sources from the German government have denied the allegations of Clinton’s phone calls interception and said that the call was picked up accidentally. But, another source told the German newspaper that the call recording had not been destroyed immediately, which proves that it wasn't done accidentally. While investigating, German media sources also found that the German government ordered the German intelligence agency BND to spy on an unnamed NATO partner state. The news might not be shocking as in February 2014, the German government planned to resume active Counter Espionage Operations against both the US and several Western associate countries, after Suffering from spying by the US intelligence agency NSA and its British counterpart GCHQ. Del Spiegel reports that the operations would include actively tracking of the US agents, operating under diplomatic cover on German soil. German Chancellor Angela Merkel, whose private mobile phone was also allegedly bugged by the NSA, also warned earlier that U.S. Spying operations are unacceptable. But according to many media reports, US snooping is ongoing. The US-German relations became even more worse when in May 2014, Germany arrested a 31-year-old BND officer who admitted of working as a double agent and passing on more than 200 documents to US intelligence agencies in return for a total of 25,000 euros ($34,000) over a period of two years. But, whom to be blamed, sooner or later this has to happen. NSA’s various spying programs gave reasons to all other countries to do the same and start their own Counter-Surveillance programs.